Tanzania blockchain baby is the first in the world and is making headlines all over. Africa is doing all it can to improve the lives of its citizens in all spheres of life. Blockchain is a technology that allows distribution (and not copying) of digital information. It was originally created for digital currencies (cryptocurrencies) such as Bitcoin. A blockchain is simply a series of absolute or immutable data records. A bunch of computers not owned by any single entity manage these records. Each of these single blocks is bound to the other using cryptographic technology and principles, what is called a chain. In this way, a blockchain is a way of passing information from one point to another in a safe and automated manner. This is the technology on Tanzania blockchain baby. “The blockchain is an incorruptible digital ledger of economic transactions that can be programmed to record not just financial transactions but virtually everything of value.” – Don & Alex Tapscott, authors Blockchain Revolution (2016). In an effort to improve access to good healthcare, Africa is making history in the world. The latest feat towards improving maternal health is Tanzania blockchain baby. It is difficult to connect blockchain technology and maternal health (leave alone a baby) but be as it may, Africa has a baby through blockchain. As if this is not amazing enough, blockchain does not have only one, but three babies in Tanzania. The project by Irish AID: Tech and Dutch PharmAccess was initially funded to tackle controversies in the charitable industry in areas of equitable distribution of donations. In order to track the aid given to susceptible women, the project decided to use blockchain technology in facilitating proper distribution of this aid. Additionally, they used this technology to share important data and to streamline the entire support process. This record keeping technology for cryptocurrencies and bitcoins is a major breakthrough for the Tanzania blockchain baby. According to reports, Tanzania blockchain baby feat was born last July but has just come to the limelight. Aid:Tech is an Irish project and it seems it has finally found a humanitarian application of blockchain technology. The technology seeks to digitally identify pregnant women and provide them with the support and care they require in Tanzania. These digital IDs allow women to get proper access to vital elements such as folic acid. The technology also uses IDs to track the pregnancy progress from the initial women data entry to the blockchain, to delivery. On 13th of July 2018, the first Tanzania blockchain baby was born. Two more followed this Tanzania blockchain bay a week later on 19th July 2018. This brought the blockchain babies to a total of three bundles of joy. Currently, the technology has made it possible for the mothers to get access to postnatal care as well as following up on doctor’s appointments and receiving needed medications. This distributed ledgers technology is lighting a new path towards better access to better maternal health in Africa. Each pregnant woman receives a digital ID. The digital ID entitles the woman to get access to important vitamins such as folic acid. Additionally, the ID tracks the pregnancy progress through data added to the blockchain. The tracking starts after the woman is first registered, through medical appointments to birth. Currently, the system also allows women to receive postnatal care and follow-up doctor’s appointments as needed. This Tanzania blockchain baby technology project has well-meaning goals for infants and mothers in Tanzania. The country has high infant mortality rates that currently stand at 556 deaths per 100,000 live births. In addition to other healthcare challenges, Tanzania also has difficulties in getting fund donations from well-wishers to deserving women. For these two reasons, the project was established and it is working quite well. Joseph Thompson co-founded AID:Tech in order to provide more transparency in the distribution of aid to deserving people. The idea came as a result of his previous encounter with aid distribution fraud. The organization made the first successful attempt at aid distribution to Syrian refuges in Lebanon in 2015 using blockchain technology. The system encountered fraud in food vouchers where wrongful beneficiaries would benefit. The system invalidated these vouchers. The United Nations named AID:Tech one of their ten global Sustainable Development Goal Pioneers for 2017. Additionally, many private investors got interested in blockchain technology and how it can deliver important aid. For this reason, the organization drew interest from private investors such as Enterprise Ireland, TechStars, SGInnovate and American backer Jason Calacanis. The list also includes Rockefeller and Expo2020. Despite immense global recognition, it is the Tanzania blockchain baby that elevates the project to international limelight and popularity. Makerere Professor Ephraim Banadda has become the first African to win the Pius XI medal, scooping the 2018 award. The Pontifical Academy of Sciences gives the award to recognize outstanding scientific research. Professor Banadda is a Ugandan scientist born in 1975. He was the first African to get a Ph.D. in Chemical Engineering at the Katholieke Universiteit Leuven in Belgium. The institution is one of the oldest universities in the world—established in 1425. Professor Banadda also holds MSc in Processing Engineering from the same institution. The professor took his undergraduate studies at the Sokoine University of Agriculture in Tanzania and holds BSc Food Science and Technology from the Tanzanian institution. At the age of 37, Noble Banadda was appointed a full professor at the University of Makerere. The professor is the current Chair of the Department of Agricultural and Biosystems Engineering, College of Agricultural and Environmental Sciences. In 2013, the Professor became the youngest fellow to join the Uganda National Academy of Sciences. In 2015, Professor Banadda was among the seven Africans who qualified for the Next Einstein Fellowship. The Pius XI medal recognizes Professor Banadda’s contributions in scientific research. The professor’s research interests are in biological systems, mathematical modeling, and renewable energy. In addition, the professor has authored over 80 peer-reviewed scientific papers and has over 1,1395 citations on Google Scholar. Some of Professor’s Banadda’s known works and innovations include making diesel from plastic materials. The Professor also developed a solar irrigation system. In 2015, Professor Banadda launched the first Makerere University MV Mulimi, a cost-effective farmers’ tractor. A year later in 2016, the professor unveiled organic pesticide made from agricultural waste. These achievements demonstrate that the Professor has been at the forefront of agricultural innovation in Uganda. The Pius XI medal was launched in 1961, and the academy has awarded 28 winners since the inception. The academy itself, however, was found in 1936 by the Holy Father Pius XI. In 1961, Pope John XXIII established the Gold medal to recognize young scientists under the age of 45. The award recognizes scientists who work free of economic, ideological, or political interests. Professor Banadda received his medal on 12 November 2018 at the Papal Wing at the Vatican. The selection process for the Pius XI medal is a well-kept secret. The Vatican is the venue for the award ceremony, and the Pope himself awards the medal to the winner. Professor Banadda received his medal on 12 November 2018 at the Papal Wing at the Vatican. The 2018 Pius XI Medal recognizes Professor Banadda’s outstanding scientific research and publication. The professor aspires to one day join the Pontifical Academy of Sciences, whose alumni include Galileo Galileo and several Nobel Prize winners in the fields of Physics, Medicine, Space engineering, Stem Biology, and Mathematics. Africans are taking the plunge into the automobile industry, positioning themselves to compete against more established car brand. To succeed, they have to do a little more for their demographic and be a little better than their counterparts. Cars made in Africa, and by Africans, are changing the narrative about Africa’s ability to produce state-of-the-art machinery. These cars produced in Africa. The end products is evidence of Africa’s automotive industry positioning itself to compete with seasoned and established foreign brands. 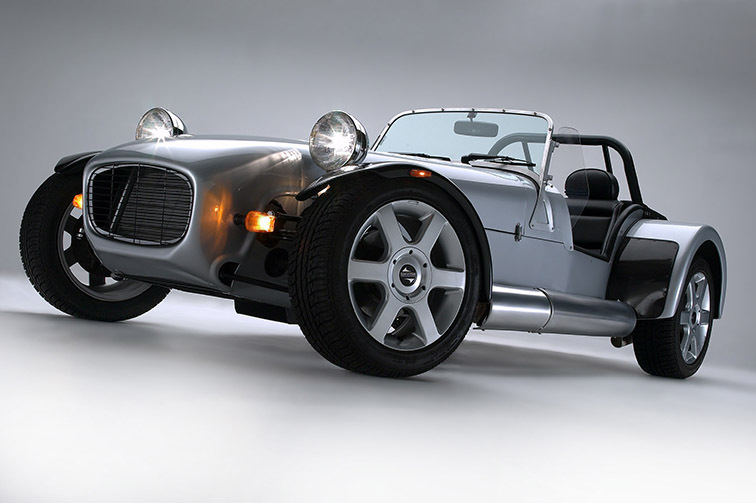 Joel Jackson, a British entrepreneur, started Mobius Motors, a car factory in Kenya. Mobius motors released Mobius bus, a low cost designed for common African road terrains. Mobius bus is an eight-seater vehicle with large cargo space. The vehicle can reach a maximum speed of 160km/h on its manually transmitted gearbox. The company later manufactured Mobius II which is an advanced version of the pioneer model—Mobius one. The new version has a better interior, higher ground clearance, power steering, and sealed side windows. A shift in focus from agriculture to industry in Ghana has yielded great results. The Kantaka is a proudly made in Ghana car. The car is available in various models, shapes, and colors—the Kantaka pickup, the Kantaka SUV etc. The Kantaka Group of Companies manufactures the Kantaka. Apostle Kwadwo Safo owns the company which is located in Gomoa Mpota. The Kantaka is probably one of the most promising cars made in Africa. This is a unique feature that distinguishes its style from Chinese and Japanese cars. Specifically, the Kantaka is designed for local conditions in Ghana. The brain behind Innoson, a Nigerian car, is Chief Dr. Ifediaso Chukwuma. Dr. Chukwuma is the founder of The Innoson Vehicle Manufacturing Company. The company manufactures luxury, trucks, and minibusses. Some of the advantages that set Innoson car apart include: its affordable price; three years warranty on gears, axle, and engine, and; the ability of the car to correspond with needs of an average car user in Nigeria. In addition, Innoson is a modern and comfortable car. This is a replica sports car made in South Africa. Brothers Peter and Greg Bailey started the manufacturing company in 2003, creating the brand name of Bailey cars. The company builds and customizes performance cars—such as the Ferrari P4 and the Porsche 917. In addition to its South African base, the company has a factory in New York. The New York factory caters for the North American market. This is another South African car manufactured by Birkin Ltd. John Watson owns Birkin Ltd. The company specializes in making the S3 Roadster. the company has manufactured more than 8,000 S3s since 1988. The S3 bears resemblance to the original Lotus. Wallyscar is a small but powerful car made in Tunisia. Brothers Zied Guiga and Omar Guiga founded the company in 2006. The car is designed for off-road driving with its largest market being in Africa and the Middle East. In addition, the car has a market in Europe. The manufacturer plans to make the car more colorful, sporty, and more environment-friendly. The Kiira EV Smack is an invention by engineering students at Makerere University in Uganda. It is an electric hybrid car by Kiira Motors Corporation. Kiira EV Smack is an advancement of the original prototype by the students. The car is cost-effective. Both diesel and electricity can provide power to the car. The car is expected to become available to consumers before the end of 2022. Several cars made in Africa show the creativity and ingenuity of the African motor industry. For example, some of these cars, when fully developed, can run on solar power. Others are electric hybrid cars. Another car made in Ghana is the Turtle, which is designed to meet local needs. However, the Turtle is not as sophisticated as the Kantaka. the ingenuity in this car comes from the fact that it is a 100 percent recycled car. Segun Oyeyiola produced this wind and solar powered car as a student at Obafemi Awolowo University. The car was Segun’s final year project at the institution. This car is a product of a Volkswagen Beetle and other materials. The car was to function on both solar and wind power. During the day, the car uses solar energy. At night, the car uses a wind turbine. This car, however, is still a work in progress. A product of Morocco, Laraki Epitome is manufactured by Laraki. Moroccan yatch designer Abdeslam Laraki owns the manufacturing company. In addition to Laraki Epitome, the company manufactured the Borac and the Fulgura—supercar and luxury car. Laraki Epitome is a perfect combination of luxury and speed. Compared to large scale manufacturers, Laraki makes its cars based on a concept. As such, cars at Laraki are custom-made for each customer. In 2015, Laraki cars were ranked as some of the most expensive in the world—priced at over $2 million. This fete definitely makes Laraki the most expensive cars made in Africa. The Saroukh el-Jamahiriya was originally designed for former Libyan leader Muammar Gaddafi. As you would expect, this is a luxury and safe car. The car had an inbuilt electronic defense system. In addition, the interiors had airbags to increase safety of the vehicle. Furthermore, the car could run over hundreds of miles on flat tires. Definitely one of the best cars made in Africa. Although the car competed with other luxury cars from Germany, it never went into full-time production. The Perana Z-one is a product of the Perana Performance Group. Perana Performance Group is based in South Africa. produced as a limited edition car, the Z-One is a highly desirable sports car–there are only around 10 of them in the world. Although African countries continue to produce cars, cars from Japan, China, Germany, and other foreign countries still dominate the African market. A common concept is an assembling industry, where foreign companies such as Nissan, Volkswagen, and Toyota fully assemble their cars in Africa. In 2018, Volkswagen opened a car assembly plant in Kigali, Rwanda. In Kenya, Volkswagen has an assembly plant in Thika.